Working Papers Dr. Daowei Zhang is Alumni and George Peak Jr. Professor of Forest Economics and Policy at Auburn University School of Forestry and Wildlife Sciences. He received his Bachelor and Master degrees from two Chinese forestry universities (Southcentral University of Forestry and Technology, 1984, and Beijing Forestry University, 1989) in forest science and forest economics, respectively, and his Ph.D. in forest economics from the University of British Columbia in 1994. He worked as a assistant researcher for Ministry of Forestry and an economist/project manager for State Investment Corporation of Forestry in Beijing, a research assistant and teaching assistant for University of British Columbia Faculty of Forestry, and a research assistant for Lakehead University School of Forestry in Canada. He joined Auburn University faculty as an Assistant Professor in 1994, reaching Associate Professor in 1999 and Professor in 2003. Dr. Zhang has taught Forest Policy, Natural Resource Policy, Forest Economics, Forest Sector Economics, Advanced Forest Economics, and Advanced Forest Policy. His research interests are the economic and policy aspects of natural resource management. Specifically he is interested in property rights, environmental policy, political economy, institutional economics, forest products trade, forest investment and finance, land use, private forest management, forest-based economic development, and international forestry. 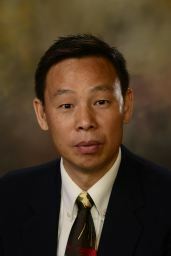 Dr. Zhang served on the Board of Director of the Pinchot Institute for Conservation (2000-2006), the Editorial Board of Forest Science (2007-2011) and Southern Journal of Applied Forestry (2002-2005), Journal of Forest Economics (2013-) and Forest Economic Review (2013-). He is a recipient of an Auburn Author Award by Auburn University in 2007, 2011, and 2013, Award in Forest Science from the Society of American Foresters in 2009, a BC Forum Distinguished Lecturer in Forest Economics and Policy at the University of British Columbia in 2008, a Research Recognition Award and the Director�s Research Award from Alabama Agricultural Experimental Station in 2001 and 2002 respectively, and a regional forestry extension award in 1996. In 2016, he was elected as a Fellow of Society of American Foresters. He has done research and consulting works, lectured, and made presentations in 20 countries. Market, policy, and forest plantation development in the U.S. Developing programs and publications to meet the information needs for forest products industry, private forest landowners, and relevant pubic agencies on forest economics and policy matters. Zhang, D., Y. Lin, and J Prestemon. Forthcoming. From Deficit to Surplus: An Econometric Analysis of U.S. Forest Products Trade. Forest Science. Zhang D., Y. Lin, D. Sasatani. Forthcoming. Dealing with the Housing Crisis: A Study on Softwood Sawmills in the Southern U.S. Forest Products Journal. Parajuli, R., D. Zhang. Forthcoming. An Econometric Study of the Hardwood Sawtimber Stumpage Market in Louisiana. Forest Products Journal. Zhang, D. 1988. 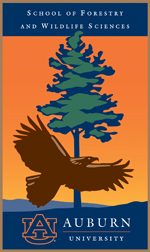 Raising Timber Price and Revitalizing National Forest Industry Enterprises. Forestry Economics (in Chinese) 43: 45-49. Zhang, D. 1988. Geography of Chinas Economic Forests. Economic Forest Research (in Chinese) 7: 65-71. Zhang, D. 1987. Macro-scope Forestry Management in China: Challenge and Strategy. Forestry Work Research (in Chinese) 11 (7): 24-30. Zhang, D. forthcoming. Economics of Reforestation. In Maisie Heine (ed.). Oxford Encyclopedia of Environmental Economics. Liu, J., C. H., L. Meng, Y, Gong (translator) and D. Zhang (reviewer). 2013. Forest Economics (in Chinese) Chinese Forestry Publishing House. Zhang, D. 2014. The Political Economy of Forestry. In S. Kant and J. Alavalapati (eds.) Handbook of Forest Economics. Earthscan. Nagubadi, R., and D. Zhang. 2007. Urbanization and Timberland Use Change in the Southern United States. Pp. 211-224 in Dube, Yves and Schmith�sen, Franz (eds) Cross-Sector Impacts on Forestry. Food and Agriculture Organization of the United Nations. Teeter, L., B. Cashore, and D. Zhang. (eds.). 2003. Public Policy for Private Forestry: Global and Domestic Challenges. CABI International, Wallingford, Oxon, UK. Zhang, D. and S. Mehmood. (eds.) 2001. Forest Law and Economics: Proceedings of the 31st Southern Forest Economics Workshop. School of Forestry and Wildlife Sciences, Auburn University.